On a cold winter day in 2014, we moved from Puerto Rico to Massachusetts to accept a good job offer. It was a scary but exciting new adventure for us. We had to adjust to a totally different place, make new friends and get used to the idea that at some point we would visit a clinic and just say “we think we are infertile”. Infertility knocks on your door and comes in without permission, whether you are at home or not. We had a hard time to accept that we had to deal with it when we were at our most vulnerable moment. Home and our loved ones were 4 hours away on a flight that I could not afford every time I needed a hug. I never felt so alone in my life but I knew that life was giving us an opportunity that we did not have at home; health insurance coverage to treat our infertility and a solution to years of struggle to build a family. From that realization, I started to slowly change my mindset from “we have a real problem” to “we can find a solution to our problem”. The day that we got brave enough to talk to our Primary Care Physician about our difficulty to get pregnant we got a referral to a Fertility Clinic. I vividly remember that day because the minute we walked in we felt as if everyone, from the administrative staff to the health staff, understood what we were going through and were ready to help. I honestly felt that we were in good hands which was an instant relief. Naturally, our Reproductive Endocrinologist knew that we would need additional support outside of the clinic and without hesitation took a sheet of paper and a pen to write several links to web resources that I could use as a reference for additional information and support. That sheet of paper went to my purse right away and, well you know what happens to the things that go into a woman’s purse, it disappeared! 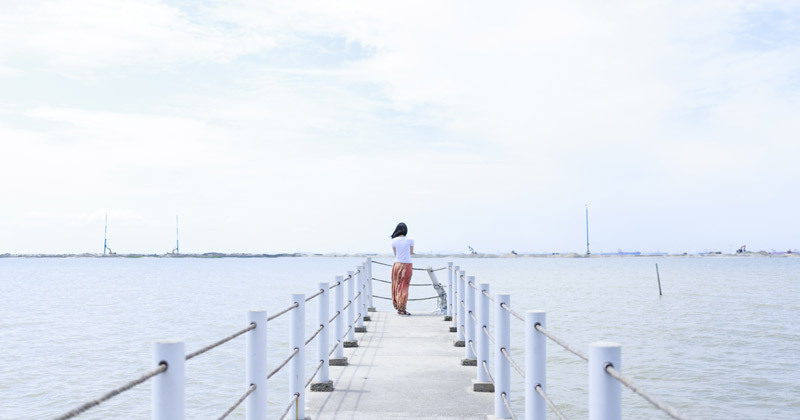 I felt confident that I would not need to find it because I had everything under control but I was about to find out that it was a nonsensical thought. I lost my job and health insurance! When we were about to start our first round of IUI I lost my job and health insurance. My husband didn’t have a stable job at the moment so we couldn’t afford to move further with the treatment plan. It was a devastating moment in our lives. Sadness was consuming my existence because I was not ready to accept that we had to wait even more time to have a baby in our hands. My husband tried to support me in the best way that he could but unfortunately, it was not enough. We needed help and soon! One day, I remembered the sheet of paper that disappeared in my purse without a trace and I started to look for it. To my surprise, I found it and read the links that my RE wrote there. 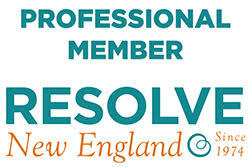 “Resolve New England” was the first one so I turned on my computer and looked for it. In one simple expression, I found gold! There were so many valuable resources and a community of people who were going through similar situations and were talking about it. I was positively impressed with the commitment of the organization to help people struggling with infertility. As a Latina, I was not used to talk about our infertility struggle. As far as I knew, we were the only couple experiencing infertility because we had not heard anyone else talk about it. We had very good new Latino friends in Boston at that time and I started to tell them our story. I discovered that some of them had dealt with infertility or miscarriage and they also felt they couldn’t talk about it. Instantly, I felt a compromise to share valuable information in Spanish and talk about our story in a Blog to help break the stigma that affects us all. This year we attended the 25th Fertility treatment, Donor Choices, and Adoption Conference that Resolve New England hosted. We organized our schedule in a way that we would learn about IVF in the morning, explore Adoption in the afternoon and finish the day with Time to Decompress. For some reason, we got distracted by the information that we had collected from the early conferences and got late to our Time to Decompress. When we got to the room we were fortunate enough to still find someone waiting for us and to have one on one time with Kristen Darcy. I think it was meant to be this way. Kristen gifted us with her book “Love and Infertility”, the “Everyday Certainty System” and a bracelet that I now wear as a proud member of the tribe. Kristen advised us to list all the things in our life that make us feel grateful even if we are feeling blue. That exercise is working like a charm! So, what is new with us? We plan to start our first IVF cycle at the beginning of 2019. Our hopes are up and we feel ready for all the high and low moments that might come in the journey towards building our family. This time, I carry in my purse (but not in the black hole of my purse!) 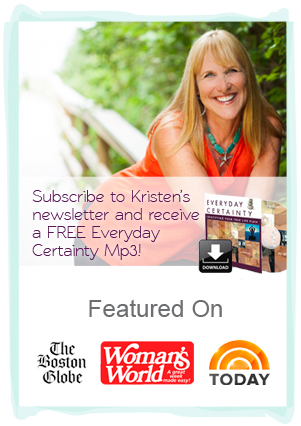 Kristen’s book “Love and Infertility” to help us overcome difficult days. We continue to work in our infertility blog in Spanish to support Latino couples that are battling it and have the goal of building a community of people that want to talk about it in their native language. We would love for you to visit our Blog and follow us on Facebook. 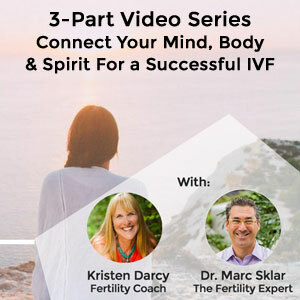 Infertility makes you feel vulnerable and I learned that it is ok to feel this way. In fact, vulnerability opens the door to a deep understanding of one’s self and helps you exercise compassion and resilience. I am not sure if you have noticed but we are gifted with a special superpower, we sure know how to deal with the unexpected! Don’t ever underestimate how powerful you are. This is a guest post by Valeris Maymi at Fertilidad 101. Valerie believes that no-one should feel that they cannot tell their story, receive support or have access to reliable information about infertility. 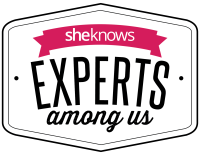 She created the blog Fertility 101 to provide support to Latina couples who fight infertility. Luchar contra la infertilidad por tantos años me ha enseñado a no sufrir en silencio. Nadie debe sentir que no puede contar su historia, recibir apoyo o tener acceso a información confiable sobre la infertilidad. He creado el blog Fertilidad 101 para brindar apoyo a las parejas latinas que combaten la infertilidad. Nos encantaría que visiten nuestro blog y nos sigan en Facebook.